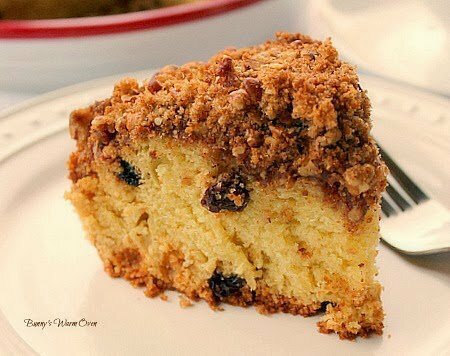 Easy and delicious, that’s how I want my coffee cake. 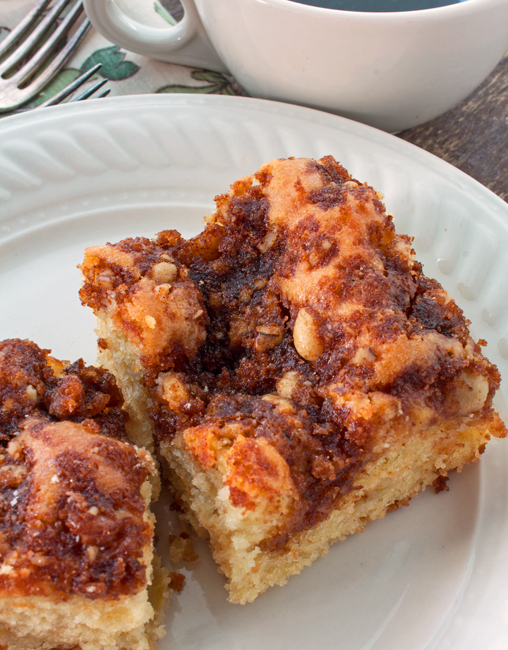 Sour Cream Apple Cake is moist with just the right amount of topping. 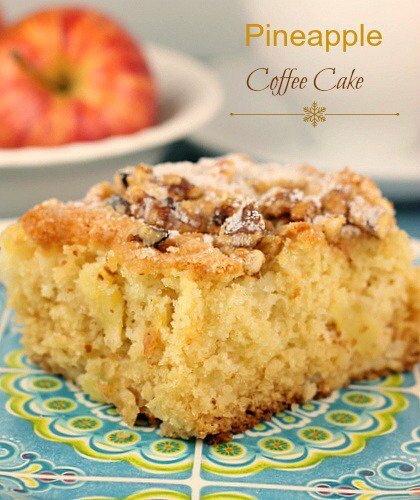 Perfect with coffee or tea and as a dessert. Let’s talk about the way this cake was made for a minute. It’s important for me to understand the reason behind the directions, if I understand why I’m doing it, I’ll do it. It’s a simple as that. Creaming the sugar and butter… always start with room temperature butter. Not butter just taken out of the fridge, and not butter that’s melted slightly. Creaming room temperature butter with sugar gives your cake structure. Your beating air into the butter, while the sugar helps hold the air. Start by beating the butter at low speed until it’s nice and creamy. Add the sugar and beat on high speed until it looks fluffy and grainy. Creaming the butter and sugar this way helps you to make light, delicate cakes. Room temperature eggs…adding cold eggs to the room temperature sugar and butter you just creamed together might change the appearance of the butter. It may look curdled because the cold eggs have started to re harden the softened butter. Adding room temperature eggs will make the batter light and fluffy. Beating flour into the batter until “just incorporated”… It’s as simple as this. 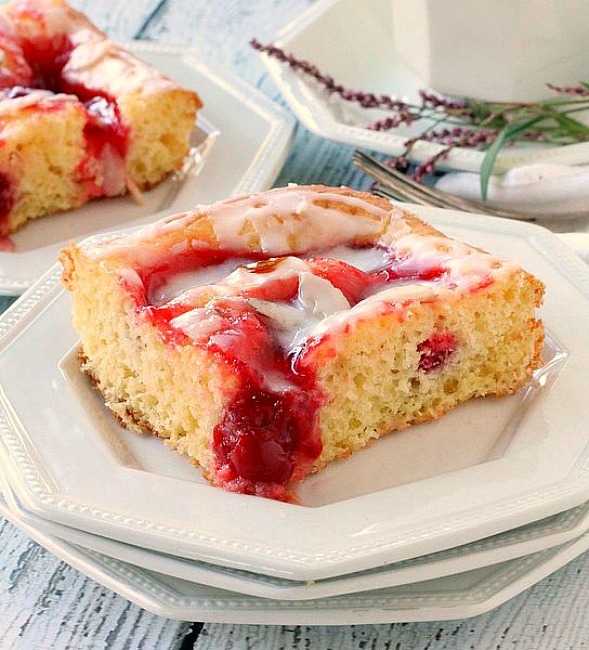 the longer you beat the flour into a cake batter the more gluten your forming. And more gluten means a not as tender cake. I hope this helps you to understand the reason behind the directions of this delicious cake and others. 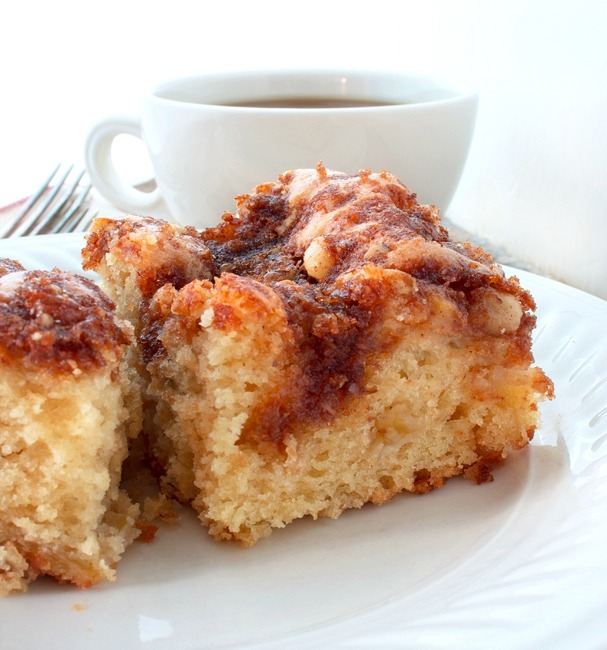 Now, it’s time to make Sour Cream Apple Coffee Cake and ENJOY!! Preheat oven to 350 degrees. Grease a 13x9 inch pan. Place the butter and sugar in a large bowl, beat until well incorporated. Add the eggs and vanilla, beat until light and fluffy. Stir in the diced apples. Spread the batter evenly into your prepared pan. Sprinkle the topping over top, bake at 350 degrees for 35 to 40 minutes or until a toothpick inserted comes out clean. Place all ingredients in a small bowl. Stir to combine, sprinkle over cake batter. I just wanted to thank you for the great recipes and explanations. Have a wonderful day! Beth you just made my day!! Thank you so much for coming back to tell me. Happy baking sweetie, come back and visit me again! What kind of apples do we use in this recipe . Cake looks so scrumptious! Hi Pearse, I used Gala Apples, it all we ever buy. They’re good for eating and baking. 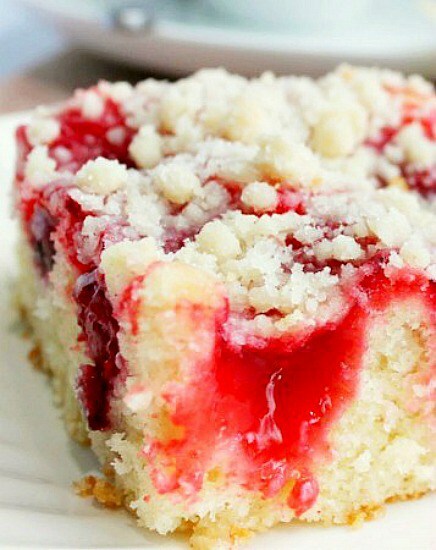 I made this recipe this morning and it was fantastic! I went searching online for an apple coffee cake recipe because the family recently went apple picking and I have piles of apples sitting around. I used Jonagolds, a Jonathan variation, and a favorite of mine because it is super flavorful. 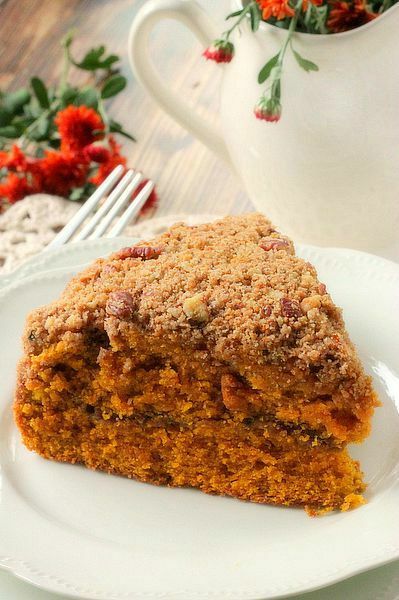 The only actual change I made to this recipe was to substitute ground almonds for the walnuts, due to an allergy, and ground are what I had on hand. Wonderful Hope! Thank you for taking the time to come back and tell me you made it, I appreciate it! Had apples & sour cream to use up. Came across your recipe and decided to make it. Followed your tips on eggs, butter, and how to incorporate the ingredients. It was delicious! Will make again. Husband loved it too! Thanks for sharing.